The industry has been trying to get Nicki Minaj and Cardi B to beef for months now but neither artists are biting the bait. Last week, the PinkPrint rapper complained in a Twitter rant about the lack of respect from the male hip hop fans. She elaborate on her rise to fame around the same time that other big name artists like Drake, Kendrick Lamar and J. Cole came on the scene but yet she doesn’t command the same level of respect as these artists. “The greats collaborated w/Drake, Kendrick & Jcole b/c they’re dope MC’s. 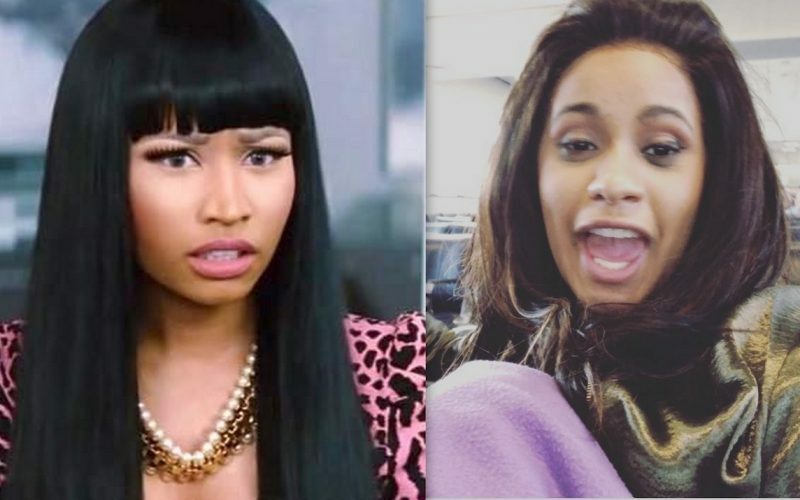 They collab’d w/nicki cuz someone pulled a gun to their heads,” she said.